Beetle. Jetta. 1.8L, main, to 08/23/2015. 1.8L, main, from 08/24/2015. 2014-17, main, to 08/23/2015. 2014-17, main, from 08/24/2015. Vin code s or t, main, to 08/23/2015. Vin code s or t, main, from 08/24/2015. 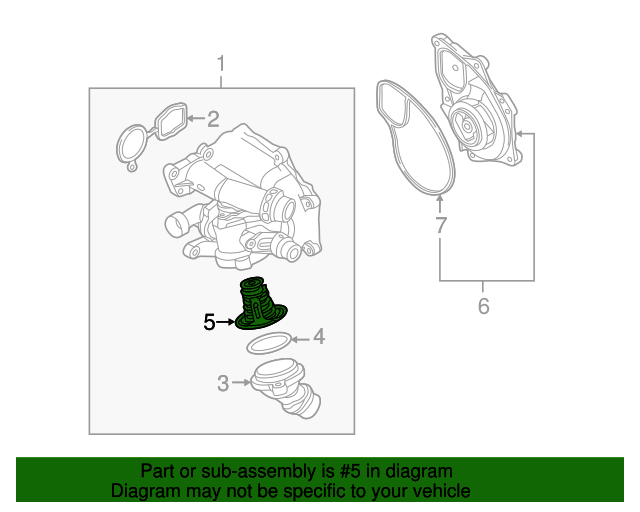 Notes: Included With Thermostat Housing. Applications: 1.8L. 2.0L GAS W/TURBO.